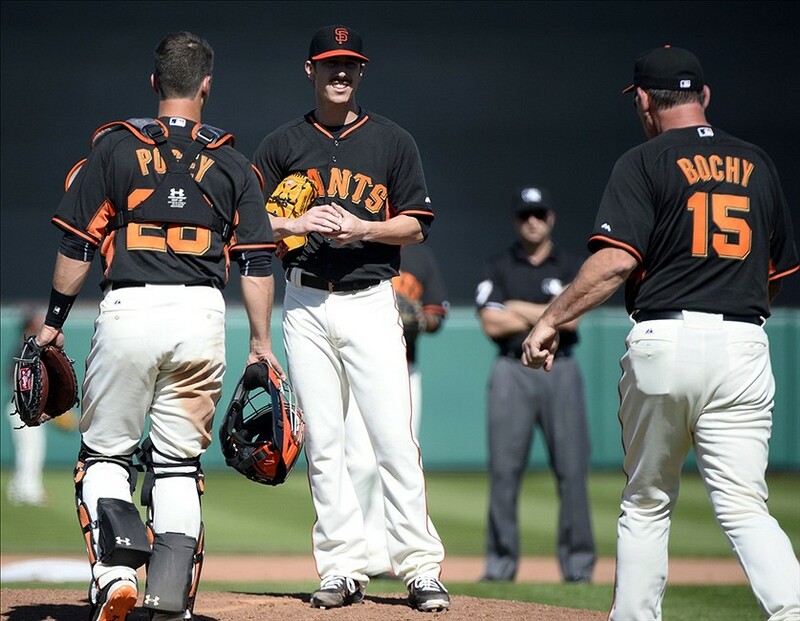 The San Francisco Giants have one mission for the 2014 season. The Giants hope to prove that the 2013 season was a fluke and that they’re ready to contend for not just a playoff spot but also another World Series title. 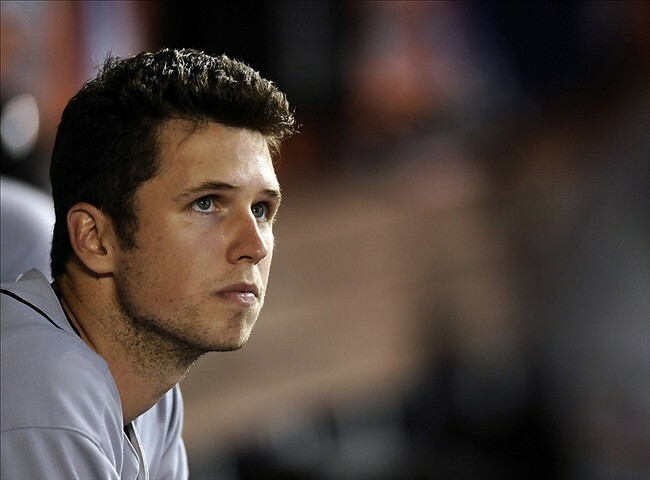 Should the San Francisco Giants Shut Down Buster Posey? During the San Francisco Giants’ game against the San Diego Padres on Tuesday, Buster Posey injured his right ring finger on a pitch from Madison Bumgarner. The fingernail on his right ring finger was ripped off, but it was later revealed that Posey actually has a “small fracture” on the tip of his finger. Posey said, based on what the training staff has told him, that he’s hopeful that it’s a manageable injury. It won’t require surgery, but he might have to wear a hard plastic piece on his finger when he returns. “From everything I’m hearing, hopefully in a couple days it’ll calm down and I can play through it,” Posey said. Is it worth it to the Giants to let Posey play through it though? The Giants are out of the hunt for a playoff spot, so, even though it’s a minor fracture, should the Giants instead just shut down Posey for the rest of the season? There are a couple reasons why the Giants should consider shutting him down. First of all, if Posey keeps playing, there would potentially be a higher risk of him injuring his finger even more. The Giants are playing meaningless games right now, so it simply doesn’t make sense to keep playing one of their most important players just so he can finish the season. Bruce Bochy has already said that fatigue is probably a major reason why the Giants have struggled so much this season. Posey is too valuable to this team to risk any further injury, especially if his body is already fatigued. Second, by shutting down Posey, it will give Hector Sanchez an opportunity to be the everyday catcher for the rest of the season. This will allow the Giants to evaluate how much Hector Sanchez has improved since last season and since his slow start this season. Bochy said that he plans on giving Sanchez plenty of starts. Sanchez had a quality 2012 season when he hit .280 with three home runs and 34 RBI’s in 74 games. He’s only played in 47 games so far this season, and he’s hit .264 with three home runs and 18 RBI’s. He’s shown improvement in his at-bats as he’s become more patient at the plate. He currently has a .330 OBP this year compared to a .295 OBP last season. 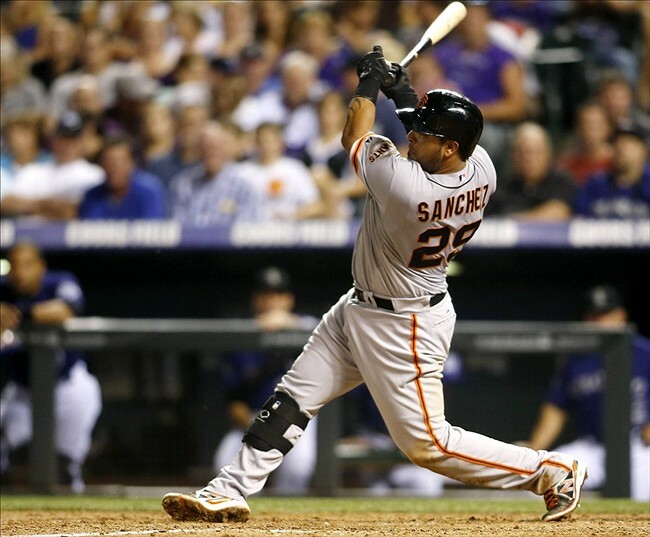 Sanchez has been a solid backup catcher for the Giants, and he could be a valuable piece to this Giants team next season. He’s a switch hitter, which would give the Giants some versatility off the bench. When he’s healthy, he has a strong throwing arm, and he has some power too. He could improve on blocking balls and his footwork behind the plate, so this would be the perfect opportunity for him to work on that. In addition to evaluating Sanchez for the rest of the season, the Giants could also get a better look at Johnny Monell, who they brought up from Fresno with the other September call-ups. Monell had a great spring training with the Giants, but they decided to bring Guillermo Quiroz onto the final 25-man roster, because Quiroz is a better catcher defensively than Monell. This season with the Grizzlies, Monell hit .275 with 20 home runs and 64 RBI’s in 121 games, and he had a .364 OBP and a .494 slugging percentage. Monell has great power and has above average arm strength as a catcher. Monell could improve defensively though, which is exactly why the Giants should consider starting him a few times before the end of the season. Even though the Giants are playing meaningless games right now, they still should try to finish the season strong. There is an understandable argument to have Posey play after a few days of rest, so he can possibly help the Giants go on a run and carry some of that momentum into next season. However, the Giants should rely on someone else, perhaps Angel Pagan, to bring the energy into the last stretch of the season. Posey is the best player on this team, and the Giants need to make sure he’s healthy going into next season.